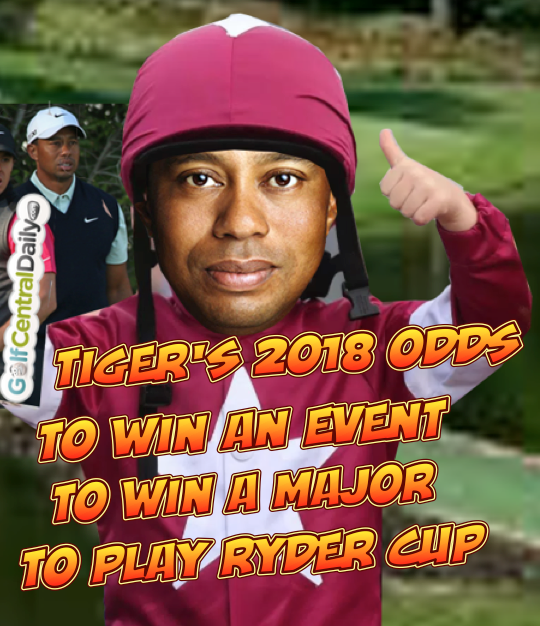 They say the bookies are never wrong and having just examined their odds for a fit again Tiger Woods to win in 2018, it seems they are pretty sure he'll be back to his best. The bookies have published a raft of odds on Tiger Woods to win in 2018. The odds we all want to know are those on Tiger winning any event on the PGA Tour in 2018. The bookies offer even money on that happening. They are pretty sure he will. Assuming then Tiger has one a little PGA Tour event victory....that's easy....but what are his chances of winning a Major in 2018? The bookies give odds of 11/2 on that. That's 5.5 to 1, not exactly generous either given that no player started any Major of 2017 with odds shorter than 11/2. And then there is the matter of the 2018 Ryder Cup. Jim Furyk is assembling one of the strongest USA teams ever and is very keen to have Woods with the team in Paris, whether as player or Vice Captain. 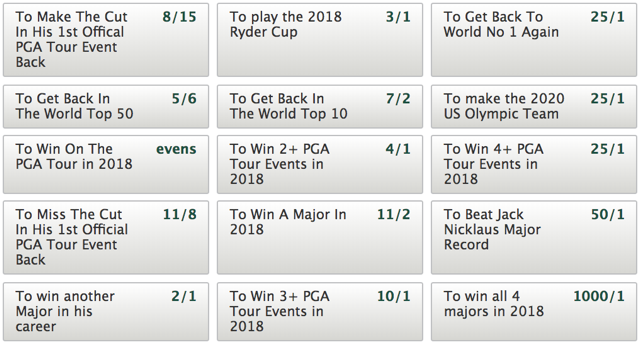 The bookies are offering odds of 3/1 on Woods teeing it up in Paris. Only time will tell if this is a dangling carrot. One thing the bookies are very sure about is Woods making the cut in his first PGA Tour event of the year. Those odds are 8/15, put on 15 to win 8. Here's where I found all those odds, I wont even mention the bookie! They have enough. What We Can Look Forward To in 2018!